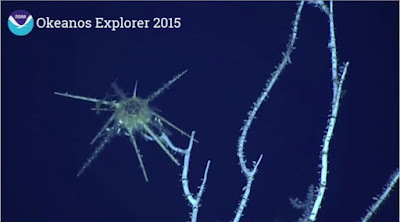 The Echinoblog: Deep Sea Hawaii CONTINUES!! 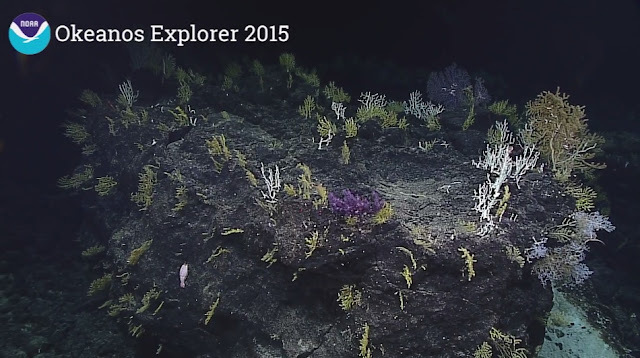 Okeanos Explorer Leg 3 BEGINS!! Deep Sea Hawaii CONTINUES!! Okeanos Explorer Leg 3 BEGINS!! 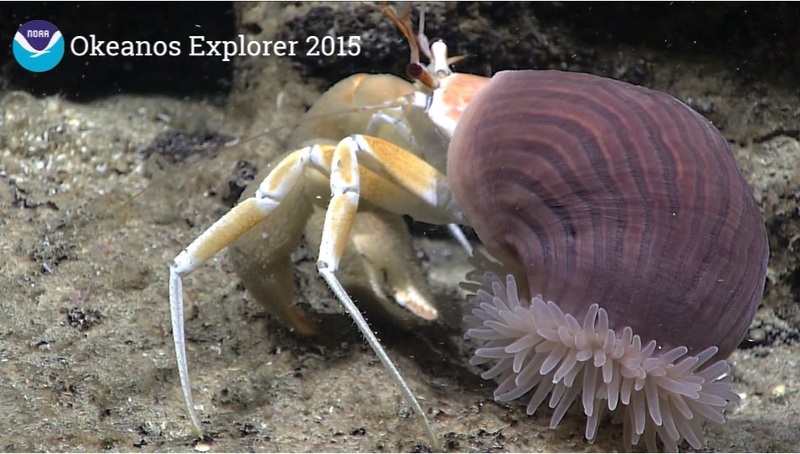 Leg 3 has only been active for 4 days (including today) and already they've seen some pretty fantastic invertebrates! 1. 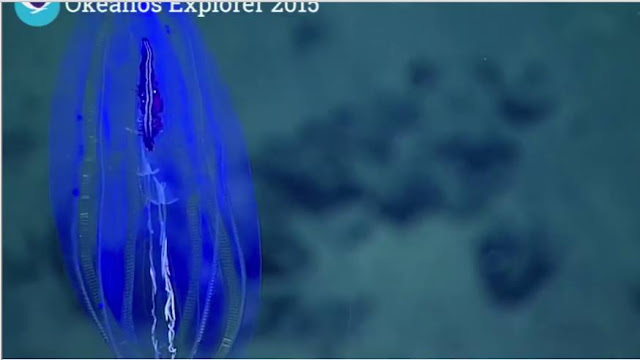 This awesome blue comb jelly. 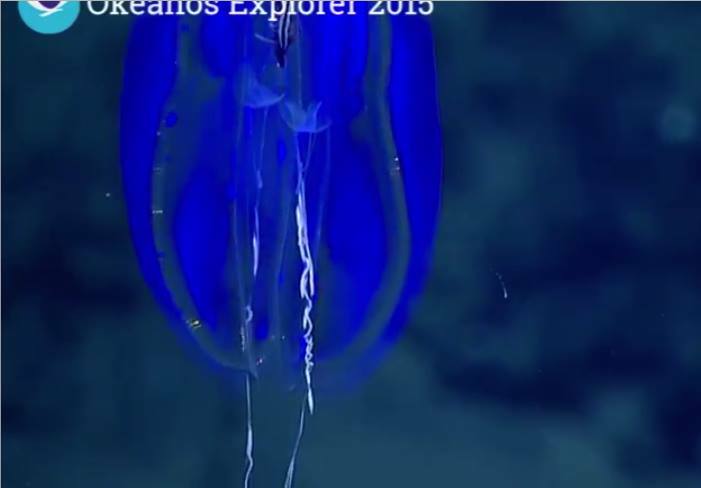 On Sunday (Aug 30th), the ROV was in relatively shallow water and spotted this gorgeous blue/purple comb jelly (ctenophore) at about 450 m off South Point, Hawaii (big island). 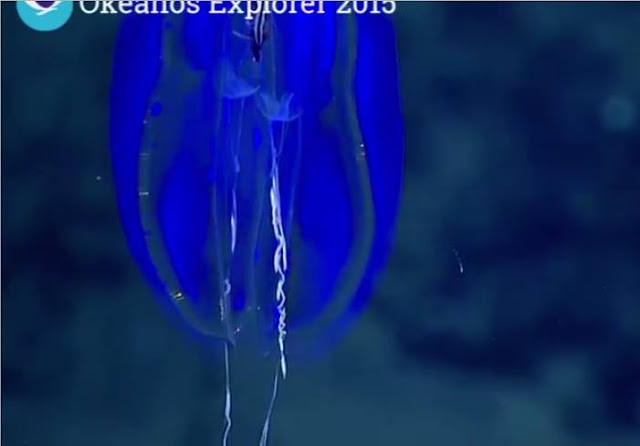 George Matsumoto of MBARI has described it as Euplokamis-like..
2. Was that a NEW STARFISH? So, this happened only Monday.. 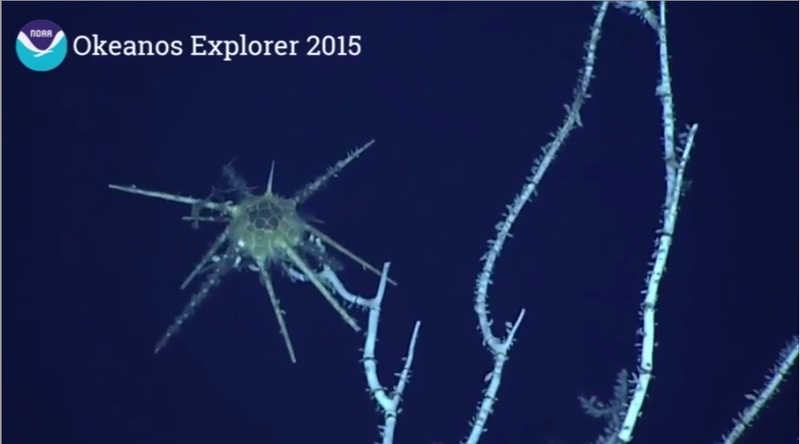 The ROV was exploring McCall Seamount at around 2700 meters and came upon this beast.. So, the amazing thing about this is, I didn't recognize it! 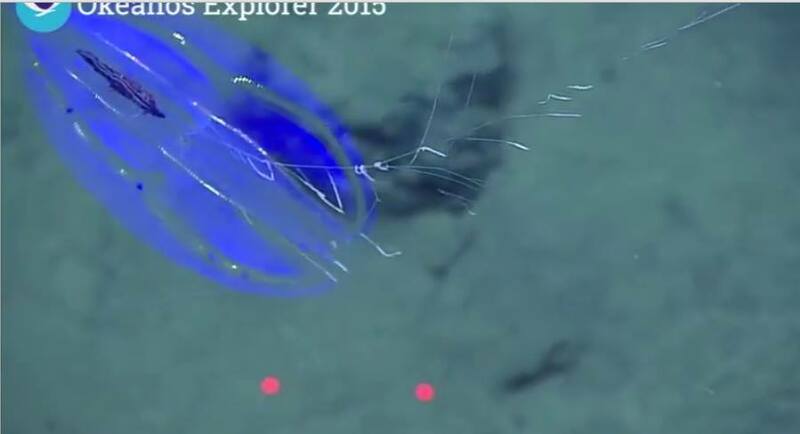 If you wanted to learn what it was like to "discover" new species along with the scientists?? THIS IS WHAT THAT IS LIKE. But as you can see its quite soft and its body sort of flutters in the current! 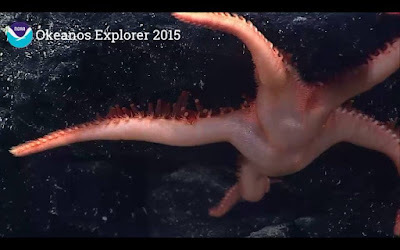 So, for years we've been watching sea stars and even sea urchins feed on deep-sea corals on the Atlantic Okeanos Explorer video streams. Earlier this year I published a paper on several of these starfish species, including Evoplosoma and Hippasteria. 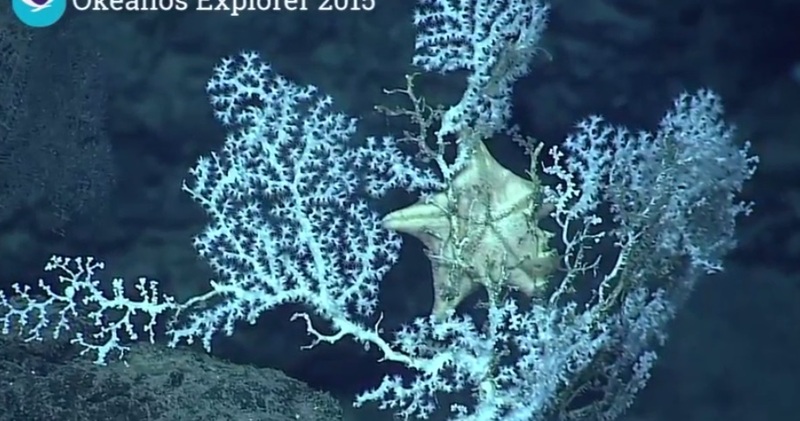 The Hawaiian islands region has many, MANY corallivorous starfish species. I've discussed a few of them here. Its interesting to see how much more regularly we are observing predation by sea stars (mostly Hippasteria muscipula but several species are observed) on these octocoral colonies. 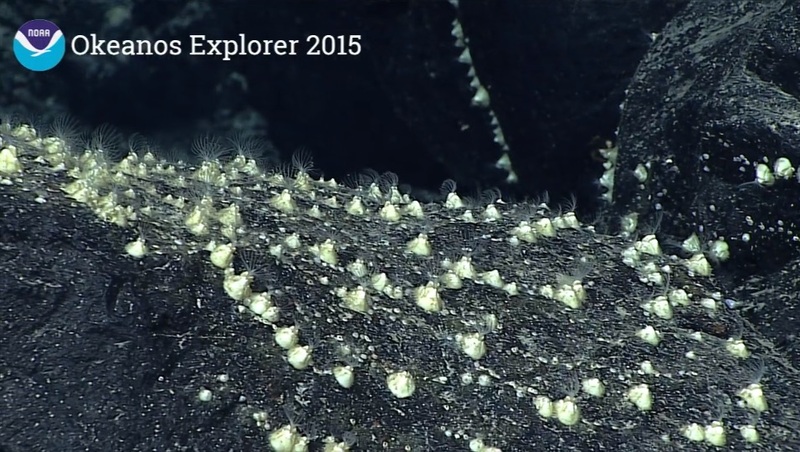 What we're also seeing is predation on corals by cidaroid sea urchins!! 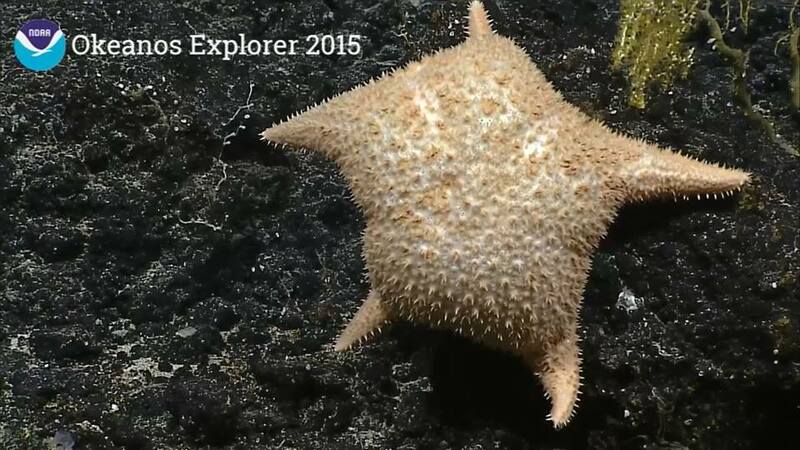 We've seen this by the white Atlantic urchin Echinus in the Atlantic, but observations of feeding on corals hasn't been seen by Okeanos in the Pacific before! This deep-sea hermit crab has a commensal sea anemone instead of a shell! Deep Sea balanoid barnacles! at 2700 meters! 5. 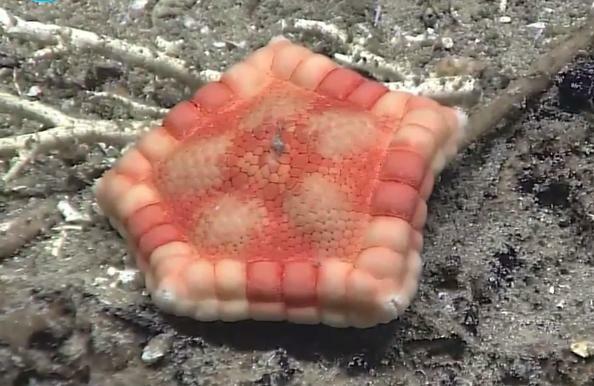 More orange echinoderms than you can throw a stick at! Based on a tip by ophiuroid expert Sabine Stohr, this ophiacanthid brittle star is likely Ophioplinthaca! and another nice shot of Hippasteria muscipula which I described only last year (here) What's interesting about it? the disk is HUGELY swollen with water! A big difference from seeing them preserved in a bucket!!! What discoveries will next week's expeditions bring??? 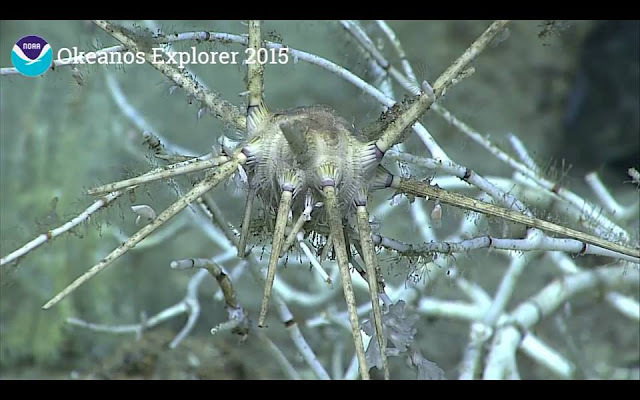 Let's Learn About Multi-armed OPHIUROIDS! Goniasterid Starfish LOVE to eat Octocorals!